We are organizing the first International Workshop on Movement and Computing (MOCO14). 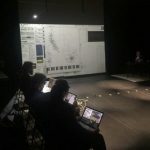 The workshop will be held at Ircam on June 16 & 17, during the Manifeste festival. MOCO aims to gather academics and practitioners interested in the computational study, modeling, representation, segmentation, recognition, classification, or generation of movement information. We welcome research that models movement, technology and computation, and is positioned within emerging interdisciplinary domains between art & science. We invite participants interested in exploring how movement experience can contribute to computational knowledge through movement modeling and representation. 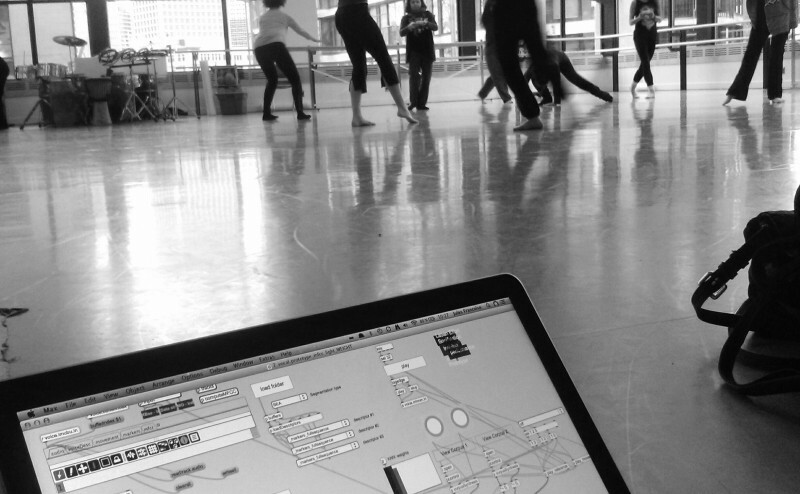 The workshop references the challenge of representing embodied movement knowledge within computational models, yet it also celebrates the inherent expression available within movement as a language. While human movement itself focuses on bodily experience, developing computational models for movement requires abstraction and representation of lived embodied cognition. Selecting appropriate models between movement and its rich personal and cultural meanings remains a challenge in movement interaction research. Many fields, including Interaction Design, HCI, Education and Machine Learning have been inspired by recent developments within Neuroscience validating the primacy of movement in cognitive development and human intelligence. This has spawned a growing interest in experiential principles of movement awareness and mindfulness, while simultaneously fueling the need for developing computational models that can describe movement intelligence with greater rigour. This conference seeks to explore an equal and richly nuanced epistemological partnership between movement experience and movement cognition and computational representation. MOCO will bring together people working in interdisciplinary intersections of Human Computer Interaction, Computer Graphics, Machine Learning, Artificial Intelligence, Robotics, Affective Computing, Cognitive Science, Neuroscience, Psychology, and Artists from Media Art, Choreography, Composition, Dance and Design. The workshop aims at promoting scientific and artistic collaborations within this inter-disciplinary boundary. It will offer opportunities to disseminate emerging research works through presentations, demonstrations, and group discussions.